Every week, Which?’s money experts answer your financial queries. You can submit your questions to money-letters@which.co.uk, or via our Facebook or Twitter pages. Q. I’m thinking of bidding on a house at a property auction. Do I need to have a mortgage in place before the auction, and how do I pay for the property if I bid online? A. 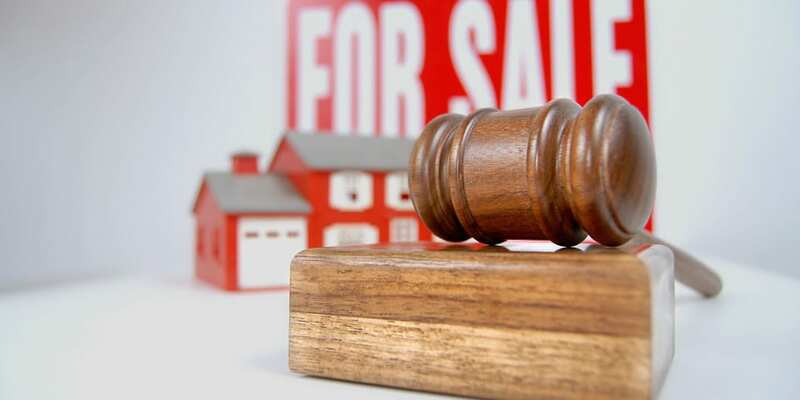 Property auctions can often be a great place to grab a bargain – but buying at auction isn’t quite as straightforward as Homes Under the Hammer might make it seem. Assuming you’ve already found a property in the catalogue, have thoroughly examined the legal pack and considered having a house survey done, let’s consider your financing options. If you’re the winning bidder when the hammer falls, you’ll need to pay a 10% deposit straight away. The remaining 90% is usually due within 28 days. The stakes are high, as you’ll lose the deposit (and any money you’ve spent on surveys) if you can’t find the cash in time. You also might need to cover the cost of re-selling the home and pay interest for every day it remains unsold. If you accept an offer less than what you paid, you’ll also have to cover any shortfall. This means it’s important to secure finance in advance. Of course, you may still be outbid on the day – but you need to have everything ready in case your bid is successful. In an ideal world, you’ll be able to get a mortgage in principle in place with a lender, so that the funds will be available in good time if you secure the property. In reality this isn’t always possible before the auction, so some buyers instead seek alternative finance such as bridging loans. Bridging loans offer short-term funds, allowing you to complete the purchase within the 28-day time frame. You can then seek a standard home equity loan or mortgage. Bridging loans are offered by a range of specialist lenders and can be agreed quickly. However, there are some significant drawbacks. Bridging loans are generally much more expensive than standard home equity loans or mortgages, and are secured against any assets you own, including your current home. This means it’s vital to have an exit strategy – bridging loans should never be considered a long-term solution. While this type of finance can be useful in some situations, it’s not the right choice for everyone. You should always take independent financial advice before taking out a bridging loan. Property auctions move quickly, so it’s a good idea to get a mortgage agreement in principle as early as possible. For impartial, expert advice on getting the right mortgage for your circumstances, call Which? Mortgage Advisers on 0808 252 7987. What if I’m bidding online? If you can’t go to the auction in person, some auction houses allow you to bid online instead. Again, organisation is key. You’ll usually need to register as an online bidder in advance and send a cheque to the auctioneer for 10% of the maximum amount you’re willing to bid. While this might seem inconvenient (and could give your strategy away to a sneaky auctioneer), it does stop you getting carried away on the day and bidding above your maximum price. If you’ve got your finances in place, have done the appropriate checks and are determined to secure a property, it’s sometimes possible to bid before the auction. Be careful though, as this can be a gamble. If your offer is accepted, you’ll need to work fast to exchange contracts – the deadline for completion is generally a few days before the auction. If your offer is rejected, you’ve already shown your hand to the auctioneer. When buying at auction, always remember to thoroughly research the property, have a survey done (especially if you’re buying a property to renovate it) and remember the golden rule – never go above your maximum price. To find out more about auctions, including how they work on the day and what to do if you’re a seller, check out our full guide on property auctions.